A collaboration with Bay Area Pilipino master artists, Philippine dance choreographer Jay Loyola, composer Florante Aguilar of the award winning documentary Harana, and Kularts Artistic Director Alleluia Panis, presented by Kularts, Ba-e Makiling re-imagines an indigenous mythological love story told through the dynamic emerging genre of Philippine dance theater performance. Set before the coming of Europeans, in an imagined remote village at the foot of Mount Makiling, the deity Ba-e Makiling, guardian of the dormant volcano unexpectedly falls in love with an injured villager, hunter Lakai. 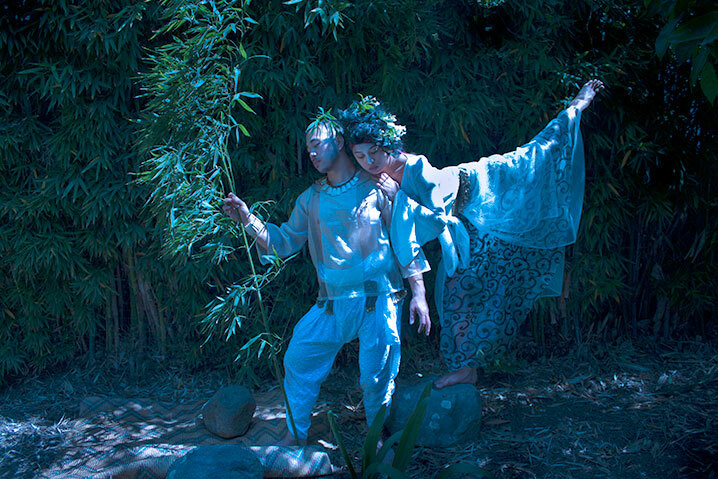 Inspired by Philippine myths and native spirituality, their relationship serves as an empowering message to re-discover and reclaim the indigenous self denied by centuries of colonization. 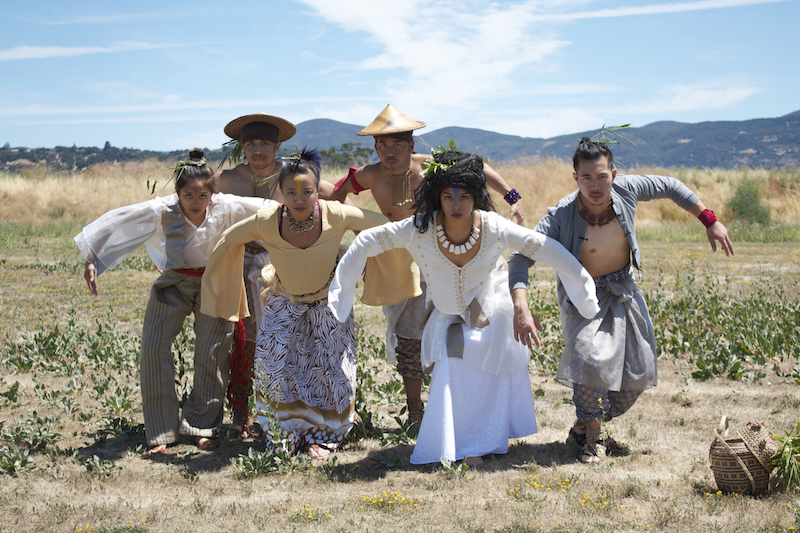 For this production, Loyolas innovative dance movements deliberately draw upon barrio or rural, celebratory native dances by Christianized Pilipinos of Luzon and Visayan islands. Rooted in deep pre-colonized cultures, when the Spanish came, these dances were strategically disguised as depictions of peacefully content farmers and fishermen to prevent Spanish Catholic priests from banning them as dances of the devil. 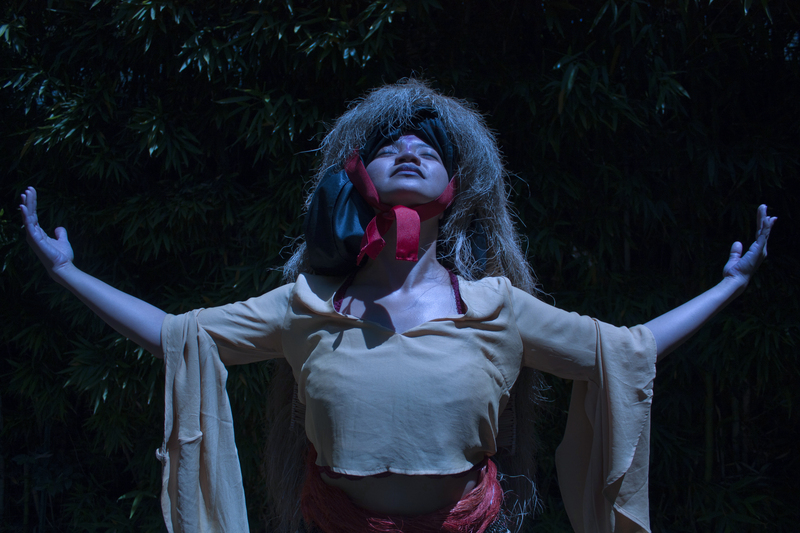 The choreography in Ba-e Makiling will investigate the hidden characteristics harbored in the celebratory dance form and its connections to other indigenous forms of warrior arts, spirituality, rituals and tribal justice. The full-length 60-minute dance theater piece will be performed by eleven dancers: Isa Musni, Jonathan Mercado, Danielle Cruz Galvez, Ronald Inocencio, June Arellano, Stephanie Herrera, Darren Garza, Eden Alcomendas, Frances Sedayao, Aly Beltran and Dennison Gallardo to an original all-percussion contemporary score inspired by traditional Philippine indigenous music by Florante Aguilar, creator of the award-winning documentary, Harana: The Search for the Lost Art of Serenade, two weekends at Bindlestiff Studio in the South of Market (SoMa). 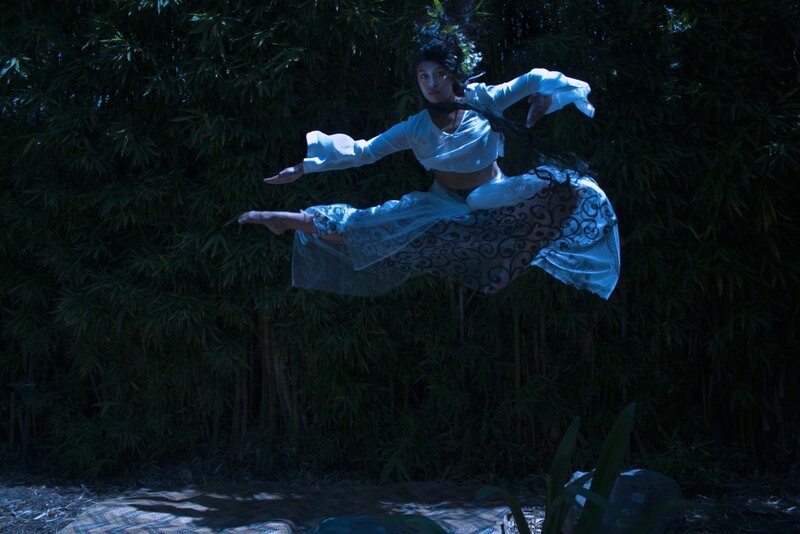 Bae Makiling re-imagines an indigenous mythological love story told through the dynamic emerging genre of Philippine dance theater performance. Choreographed by master artist Jay Loyola and directed by Alleluia Panis, it premiered in San Francisco in September 2016. Florante Aguilar creates an original music score using an all-percussion soundscape from the indigenous music of the Philippines in combination with other international instruments. Philippine instruments: Kulintang, Saronai, Luntang, Gandingan Kayo, Agung, Agung a tambul, Agung a tamlang, Tagutok, Bulyos. Kolitong, Sulibao. International instruments: Hang Drum, Indian Bansuri flute, Celesta, Taiko drums, Wood Shakers, Cajon, Djembe, Chinese gongs, Japanese gongs, Timpani, Shetland bass drum, Tibetan peace drum, Chinese Di Zi flute, Chinese moon flute, Hooves shakers, Jacaranda shakers, Glockenspiel. Florante Aguilar shared a post. Special project. UTOM is a brand new, commissioned work inspired by the music of the Tboli. World premiere concerts on June 1st at the SF International Arts Festival and June 9th at Brava Theater, SF. Featured in this video is "Lemugot's Dance", a piece about the demigod's fireworks display in playing the hegelung (boat lute) and dancing in order to impress the T'boli princess Boi Henwu. Early Bird tickets in effect only until March 31st. Special project. UTOM is a commissioned work inspired by the music of the Tboli. Premeires this June. Last week for Early Bird tickets available, see below. Looking forward to this. Been working on the composition for about a year. Hope to see you there... and check out our teaser video! Early Bird tickets are now available for the 2 shows. Florante Aguilar is with Sage Baggott and Caroline Julia Cabading.